Silly me, I thought the NFL was played on Sunday. To my surprise, on the way to a 2PM movie, I found out the Panthers were up 10-0 on the Bucs. Huh. How about that. Well let’s jump back in time to Wednesday when I made my Week 16 picks. Home teams in CAPS. But all is not lost on the sixth night of Hanukkah, the NBA is back! No more wondering how long before the Pistons get evicted or Chris Paul realizes he’s been traded to the Clippers. Yes, those Clippers. Because the wait is over. I’m not going to give a 75-page NBA preview like I did for baseball, but I’ll offer a mini-preview for each team. This team was two games away from winning it all last year without a full to gel. Now they’ve got Shane Battier, a healthy Haslem and Miller, and no Eddie House. With the shortened season, they should be the odds on favorite. Championship or bust. And I think they’ll do just that this year. Adding a real shooting guard in Rip Hamilton will be huge, adding a legitimate scorer for Derrick Rose. The key is Carlos Boozer: when he’s on, they can be the best team in the East, but when he’s playing small they’re the LeBron Cavs. They’re not far behind the Heat, and there’s a huge drop-off from this point on in the East. I’m afraid of this pick because of the age of the team and sudden lack of depth–no thanks to Kendrick Perkins, David West, and Jeff Green. But they’ve got the best chemistry in the league, the toughest defense, and the most ubuntu. (You just said teamwork twice… Yeah well I like the word ubuntu). The Celtics will get up for big games but look terrible against the Sixers and Wizards of the NBA. Tyson Chandler was perhaps the biggest addition of the off-season. While he’s just about the only player who plays defense on the team, New York will clean up in the regular season–baring major injuries. And it’s not like this team is injury prone. Whoops. Remember, New York was 14-14 after the Melo trade. This team is still seriously flawed. As weird as it sounds, the Pacers will be pretty good this year. They’ve got a cadre of effective big men with Roy Hibbert, David West, Beaker, and Jeff Foster along with talented perimeter play from Danny Granger, Paul George, Darren Collison, and George Hill. They’ve still got some cap room, so look for them to add a 2-guard so that Paul George can switch back to his natural position at small forward. We all know the definition of insanity, right? Doing the same thing over and over, expecting different results. Well how many times do we have to watch the same team? The only difference from last year is they’ve swapped Jamal Crawford for an older, less efficient Tracy McGrady. Yes, they’re fairly young and talented, but without Kirk Hinrich, they’re not going anywhere without shaking up the roster. Dwight Howard said he’s leaving, and GM Otis Smith sure isn’t helping out at all. The team is smothered with terrible contracts, even after amnestying Gilbert Arenas, and the big off-season move was swapping Brandon Bass for Big Baby. They need to jump on the Nets’ offer of Brook Lopez and five–yes FIVE–first round picks for Dwight because he’s more done in Orlando than… than… a pie in the oven an hour too long. Yeah, yeah, even Jim Rome could have made a better comp than that last one. But back to basketball. Milwaukee addressed some of their offensive problems adding Stephen Jackson, but at the cost of moving out of the top-10 picks of the draft. They’ve got a stud big man, an electric point guard, and solid defense. Good enough to make the playoffs in the East, but not good enough to win 30 games. With no additions, I don’t see this team making the playoffs. Evan Turner is not all he was cracked up to be, Jrue Holiday is an average starter at best, and Elton Brand is no longer fit to start the entire season. They’ll need a big step forward from two of Thaddeus Young, Turner, Holiday, and Jodie Meeks to make the playoffs. Before the Brook Lopez injury, the Nets may have been good enough to make the playoffs because of those two players alone. But that notion is long gone. Their best option at this point is to play rookie Marshon Brooks and second-year man Damion James, hoping one will take off. Now, if they land Dwight Howard, this team could be a threat. A threat to make the second round. Last year, I foolishly picked this team to make the playoffs based on talent alone. They’ve still got John Wall, Andray Blatche, JaVale McGee, and Nick Young. I just understimated the importance of chemistry and plain ol’ basketball IQ. Or just IQ. In the past year, they’ve added Jan Vesely, Chris Singleton, and a personal favorite of mine, Jordan Crawford. This team is very much a project, but a talented one at that. Where to start… where to start. The good news for the Pistons is that they’ve got two building blocks in Greg Monroe and Brandon Knight. Yeah, I’ll pass on Rodney Stuckey and Austin Daye. Unfortunately for them, they’re nowhere close to making the playoffs, but not quite in the league of the Cavs, Bobcats, and Raptors for worst teams in the league. The Bobcats are full of potential good players (Kemba, The Big Smack, Henderson, Tyrus Thomas, and DJ White) but no good ones. Their big off-season move was landing Byron Mullens. Yikes. And if you need one sentence to sum up how this season will fare, try this: Corey Maggette and Boris Diaw will lead the Bobcats in scoring. You can bet this team will be looking at Harrison Barnes, Anthony Davis, Jared Sullinger, or Andre Drummond next year. As crazy as it is that the Cavs got Kyrie Irving for Mo Williams, they’re still a terrible team. It makes no sense that 36-year old Anthony Parker is starting, but he is better than Christian Eyenga or Alonzo Gee. Before long, Antawn Jamison will be moved to make way for Tristan Thompson and the team will really start to show their awful colors. As I noted this July, the Raptors may actually have the right idea, drafting an extremely talented player (Jonas Valanciunas) who can’t come over for a year–saving money and delaying a big pay day–so that you can tank for another great player. I call it double-tanking. It’s a great strategy for Bryan Colangelo, except he probably won’t be a part of this team when it’s actually competitive. The Lakers' inexplicable dump of Lamar Odom could very well put the Mavs over the top. Then again, adding Khloe Kardashian could be killer. 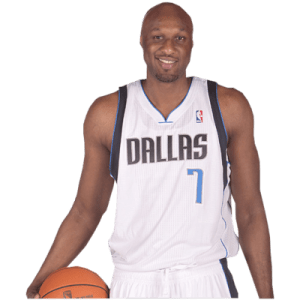 When the Chris Paul-to-the-Lakers trade fell through, Lamar Odom fell into Dallas’ lap, pushing them over the top of the Western Conference. More so than any other team in the West, this team has incredible depth. Dirk. Terry. Kidd. Marion. 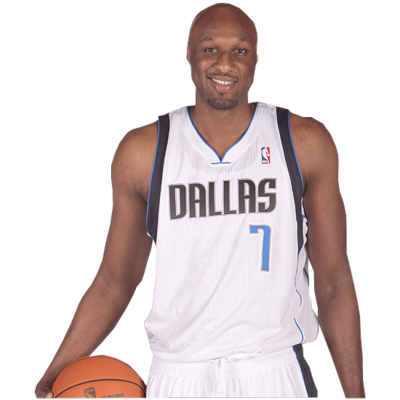 Odom. Vince. That’s not even mentioning Brendan Haywood and Rodrigue Beaubois. A trendy Western Conference pick–and my pick to lose in the Finals to the Heat–the Thunder are about as talented as any team out there. My only issue with the team is how many shots Russell Westbrook likes to take. He needs to be more of a creator, getting James Harden and Serge Ibaka more involved. Basically deferring to Durant in crunch time would help, too. Shocker, yes, but what’s not to like about the team. They were nearly in the Conference Finals last year–without their best player. They’ve got two dominant big men, a scoring wing man, and two (nearly) competent guards. I’ll also bet you that one of Josh Selby, Xavier Henry, and O.J. Mayo really takes off this year. 30-1 odds sounds great for this team, except that the Heat are absolutely going to win. This team reminds me of the 07-08 Hornets. The Clippers have their own Chris Paul (Chris Paul), David West (Blake Griffin), Peja Stojakovic (Caron Butler), and Tyson Chandler (DeAndre Jordan). Additionally, they have an array of quality guards in Chauncey Billups, Mo Williams, and Randy Foye. They’re young, deep, and exciting. They’re still a player away from a real championship run, like a shooting guard, say, Eric Gordon. The Lakers are a potential disaster team. Kobe is grumpy, Gasol knows he was nearly on the way out, Bynum knows he could be bait for Dwight Howard, and Metta World Peace is even worse than Ron Artest. The CP3 trade isn’t what put the Clippers over the Lakers; the loss of Lamar Odom is what did them in. Now, Josh McRoberts is their fourth best player. They don’t have good chemistry, they don’t have any good point guards, and they’ve lost their depth. This isn’t looking good. The shortened schedule is really going to kill the Spurs. They swapped George Hill for T.J. Ford and Kawhi Leonard, which isn’t going to cut it while the Heat, Mavs, and Knicks made big improvements. I don’t rank them this low because I doubt their ability to compete but because I don’t think they’ll be able to–nor want to–go all out all year. I wouldn’t want to face San Antonio in the playoffs, but there will be more than a few games during the regular season when their Big Three plays less than 60 combined minutes. I’ll give the Nuggets this: they’re deep. But they’re not too talented. Nene is a keeper, but I don’t love Danilo Gallinari, Ty Lawson, and Arron Afflalo. They could do a lot better in the regular season because of their depth (Birdman, Jordan Hamilton, Rudy Fernandez, Kenneth Faried, Andre Miller, Al Harrington…). But if and when they do make the playoffs, they’ll be lucky to win 3 games. Raymond Felton, Gerald Wallace, Nolan Smith, Elliot Williams, did North Carolina move west? Well even without Brandon Roy and Greg Oden, this is a strong team. LaMarcus Aldridge, Wallace, Felton, and Marcus Camby makes for a strong core, especially with guards Jamal Crawford and Wes Matthews. It’s a good team, but its not good enough to compete for a title. While watching Deron Williams in a Nets jersey stings, Devin Harris, Derrick Favors, Enes Kanter, and the promise of another lottery pick look even better. Sometime soon, Al Jefferson needs to be moved since he’s not a part of their future and is owed $29 million. Utah’s on the right track, but they’re not playoff good yet. Houston was so close to adding Pau Gasol and Nene. But it just wasn’t meant to be. Now, they’ve got to settle with Samuel Dalembert, Luis Scola, Chase Budinger, Kevin Martin, and Kyle Lowry. They’re still young, though, with Patrick Patterson, Courtney Lee, and Marcus Morris. The only way they’re going high places is if one of their many reclamation projects (Hasheem Thabeet, Jordan Hill, Terrence Williams, and Jonny Flynn) works out. All offense, no defense, same story. I love Stephen Curry, but this is the same team as last year. Instead of drafting an athletic defender–Kawhi Leonard would’ve been perfect–they took another no defense shooter. Nice. The Hornets actually got a great haul for Chris Paul and a solid starting five. The problem is they have no very good players and zero depth. They’re looking for a Jazz-like recovery, but I’m concerned that Eric Gordon won’t want to re-sign, and we’ll have to go through this entire song and dance again. How many point guards and athletic wing players can one team hoard? I like Derrick Williams, but isn’t he the same player as Kevin Love, Michael Beasley, Wesley Johnson, and Anthony Randolph? This is the most talented Wolves team in years, but they’re still years from competition. There will never be enough shots to go around. Tyreke Evans needs his shots, Jimmer needs his shots, Marcus Thornton needs his shots, John Salmons needs his shots, Donte Greene needs his shots, J.J. Hickson needs his shots, DeMarcus Cousins needs his shots… and you get the point. They don’t have chemistry, they’re not going anywhere. It’s really sad how bad the Suns have become. Marcin Gortat is a quality big, but the rest of this team is just terrible. Who’s the third-best player? Jared Dudley? Channing Frye? Shannon Brown?? Steve Nash deserves better.